Leonard Hofstadter: I am so proud of you. 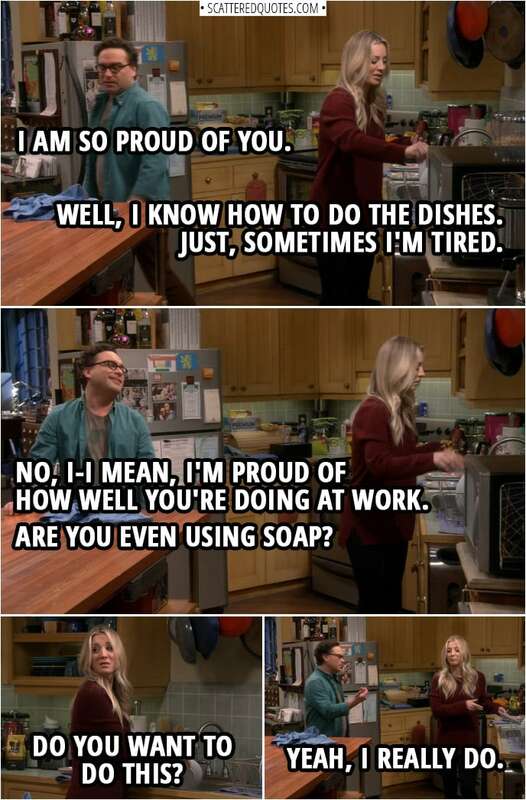 Penny Hofstadter: Well, I know how to do the dishes. Just, sometimes I’m tired. Leonard Hofstadter: No, I-I mean, I’m proud of how well you’re doing at work. Are you even using soap? Penny Hofstadter: Do you want to do this? Leonard Hofstadter: Yeah, I really do. 3.2.2019 I know how to do the dishes.